Russell, has studied holistic health and spirituality for over 30 years and lived a holistic lifestyle for over 57 years. He specializes in integrating his scientific background with his knowledge of health, to holistically help both people and pets. His greatest talent is being able to cut through all the marketing hype using his scientific background to tell people what is truly holistic. Today, we will talk about his recent experience at a veterinary conference. Russell, I understand you were recently at a veterinary conference. Yes, Wendy. Optimum Choices had the privilege of representing the manufacturer of our algae product, BioPreparation, at the annual American Holistic Veterinary Medical Association Conference in Fitchburg. MA. We had a booth and we were educating vets on our new paradigm in holistic health—that is, using whole food products to balance the WHOLE body instead of just supplementing the symptoms. So, how was your experience? Many holistic vets had “ah-hah!” moments and I saw the light bulb turn on for others. Holistic vets have known about the principle of treating the whole body instead of its individual parts (as in Western allopathic medicine) but until now, they have not had one product that did just that. So, they simply used what all-natural (but not holistic) supplements they had to treat the symptoms. But of course, they were not treating the original cause of the disease or even the whole body, so their customers experienced returning or annually recurring symptoms from products that simply did not work. Sound familiar? Yes. Can you share with my listeners some of this wisdom, so they can benefit from the vet’s “ah-hah” moments? I would be happy to Wendy. One new holistic vet just starting out said it was a daunting task researching all the many so-called “holistic” supplements just for arthritis, let alone all the other diseases they treat. How do they know which one is best? We have been using BioPreparation since 2003, when we used it on our 17 year old cat that was dying of Chronic Renal Failure (CRF) and saw a miraculous turnaround the very first week. We now have over 7 years of experience using this amazing algae product on cats and dogs and have proven to ourselves that all the manufacturer’s claims are absolutely true, based on our first-hand scientific experience. You see, Margaret has a biology degree and I have a geophysical engineering degree and we scientifically evaluated the manufacturer’s claims to make sure they were valid. We constantly are comparing the products we recommend against other so-called “holistic” products to make sure we always carry the best and only those products that really work. So, we have done the research and experimentation to save your listeners time. That’s very reassuring to know. What else did you learn? Other vets were saying they are bombarded with so many manufacturers’ claims at these conferences, how do they know the manufacturer’s claims are valid? I explained Dr Kiriac’s 20+ years of animal research to find a nutritional way to prevent cancer in animals in the former U.S.S.R. Most manufacturers do not have 20+ years of animal research behind their product. The bio-algae concentrates that Dr Kiriac successfully used to eradicate the cancer epidemic in their chickens, rabbits and mink are the predecessor to our algae product, BioPreparation. Not only has Dr Kiriac continued his animal research with more recent studies last year but Optimum Choices has been compiling our own dog and cat research and case studies which confirm all his claims. Your listeners can be sure BioPreparation works totally in a holistic manner as supported by 20-30 years of independent animal research. That is impressive. What other questions did the vets have? There are many recent stories about toxic algae and contaminated products these days. They asked about the product’s purity and quality control. I explained because Dr Kiriac does not believe there is any natural body of water on Earth that is not polluted in some way, his algae used in BioPreparation is grown in closed bioreactors. This guarantees its purity over other wild grown algae harvested in natural bodies of water. Dr Kiriac uses volcanic filtered water from pristine land in Siberia, thus avoiding contamination from modern day civilization. The manufacturing plant has UV lights in the ceiling to help purify the encapsulation environment. Dr Kiriac has taken extraordinary measures to guarantee his product’s purity and quality control in manufacturing. Rural vets were bemoaning the fact that drug and natural supplements manufacturers never pay a visit to their office because they live in a remote area. It was hard to keep up with the latest products and get information on the latest trends. I told them the Internet is a wonderful research tool that can be accessed almost anywhere, 24 hours a day without ever leaving their office. Optimum Choices, for instance, has ingredient information, usage and dosage suggestions, case studies and specific testimonials on diseases and symptoms all available on our website, so your listeners have 24 hour access and never have to leave their home. That’s so right. How convenient. And your website is full of other scientific facts for all my pet listeners. 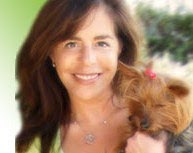 Wendy, Optimum Choices’ mission is to be THE definitive holistic resource on the Internet. We want to publish all the latest holistic research that we have validated and proven to ourselves that it works. Great. So do any of these veterinary revelations relate to something my listeners can take home? How about simplifying their daily lives and saving money? The vets realized how simple their practice could be if they did not have to carry 2-3 supplements for arthritis, 3-4 for digestive problems and irritable bowel symptoms, 4-6 supplements for allergies and bad skin and coat, etc. It takes time and money to research, order, stock and dispense all those separate supplement bottles. With one whole food product they could have 80-90% of their customers’ nutritional needs met. Now what about the savings? I did a comparison study for the vets adding up all the popular supplements for multivitamins, enzymes, antioxidants, Omega oils, joint support and anti-inflammatories. The monthly cost totaled around $170 for these mid-range quality assortments of supplements. When I showed them the cost for a month’s supply of BioPreparation averaged only $12-45 (depending on the size of the pet), they were amazed. Now that type of savings is something we all could use. OK, so how can my listeners find a good whole food product like you have been talking about? Remember last month’s show entitled Not Another Supplement where I gave the four most important questions to ask when looking for a truly holistic whole food product? Yes, can you give my listeners those questions again? That seems to be the key to all of this, doesn’t it? Yes, indeed. It is no fun for holistic vets to see returning customers whose pets come back with the same symptoms. It certainly gives them no pleasure in prescribing different or stronger products and drugs just to temporarily make the symptoms go away. Holistic vets are just as frustrated as their customers. Yes, I have experienced that too? That is so right, Russell. I think that is important to let our listeners know you always suggest they take their pet to a vet for proper veterinary diagnosis. But then they can also research holistic options. Any last revelations from the vet conference? As our pets age, many senior pets are getting serious degenerative diseases requiring expensive or even invasive tests before a vet knows how to treat it and prescribe the correct drug. When one doesn’t treat the symptoms but nourishes and balances the whole body with a truly holistic product, these expenses could be avoided. A truly holistic product feeds and energizes ALL the body’s glands and organs, not just the diseased ones. This provides the pet with a better quality of life, with less pain and suffering and no side effects. Amazingly enough, we have personally seen symptoms of very serious degenerative disease disappear once the body gets all the nutrition it needs and ALL the body’s glands and organs are synergistically functioning together. Sometimes simple is best. One way is to go to our website, http://www.optimumchoices.com/ and sign up for our free monthly e-newsletters. We have written articles on such topics as, Is glucosamine the answer for arthritis? Healthy water for you and your pets and Whole Food Nutrition vs. Supplements. All past articles are archived online and one can search for a specific topic. If your listeners will check the box at the bottom of the subscription form, we’ll send subscribers a free report entitled What Pet Food Companies Don’t Want You to Know. This report contains 11-points in identifying poor quality pet food.